"Working with Brenda on the sale of our previous home and the purchase of our new home was a great experience. She was very responsive, professional, friendly, and knowledgeable. She worked with our schedule and didn’t rush us into anything. Thank you Brenda for a pleasant home selling and buying experience. It was a seamless transition." "I first saw Brenda’s name on a property I drove by and then learned that one of my bosses knew Brenda personally – and highly recommended her! Brenda’s positive attitude is genuine! She was excited and helpful throughout the entire process! 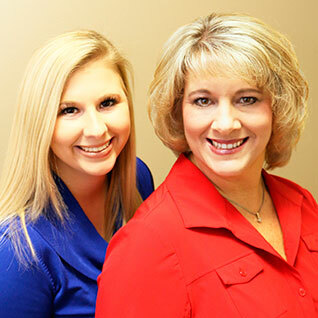 I felt comfortable and always informed as she helped me house hunt and purchase my first home!" "Brenda was very attentive to the property, was prompt with responses to feedback, questions, etc. If we have the opportunity, we will highly recommend her. She was the best. She really did it all! Chuck says, ‘If it ain't broke - don't fix it!’ We enjoyed her and her staff." "Brenda is a true pro who understands the market for sellers and buyers alike. She’s a well-connected agent who is always willing and able to help and follow through on everything she promises. We had already relocated and Brenda handled many details to keep us at ease since we were hundreds of miles from our home. She’s a pleasure to work with and offers real SERVICE to her clients in an era when service can be tough to get. Brenda gave us honest, effective feedback on the best strategy for getting our house sold. She truly represented us in the sale process and she had us under contract in TEN DAYS!" "Brenda and Karissa once again got the job done. They successfully sold our old house, which had been on the market for some time with another realtor, and helped us find a new one that we love in the area we wanted. We appreciate all your hard work in pulling this together for us as well as all of the paperwork involved. Honestly, I don't know how you do it. I know, however, that you made the process far simpler for us than if we had tried to do this type of thing on our own, and that, to me, made your involvement and efforts all very worthwhile. Always very professional to deal with, hard-working, and knowledgeable. We would definitely use Shores Real Estate again." "Brenda and her team did an excellent job selling our home. Brenda was organized and thorough and the pictures Karissa took of our home were very good; she had an eye for detail and even came back for re-takes of some of the outdoor pics when the light was better. Our home sold in less than a week. Brenda and her office were available when we had questions. Closing was organized and timely. We'd use Brenda Shores services again." "Very professional - good negotiator - paid attention to all details - no matter how small." "Very impressed with the quality of service she offered and the personal attention to detail. I didn't have to worry about anything - knew all the details would be taken care of. Brenda really takes care of her clients! Brenda provides quality customer service, really listens to her clients and wants them to be comfortable with decisions made. Brenda works hard for her clients, both in helping sell and buy a new home." "Brenda was very professional, helpful and informative through the whole process. Everything she did was top notch. Professional, knowledgeable, caring, - overall a pleasure to work with." "We don't know of any other realtors that do so much & are as caring as you folks! We will certainly recommend you whenever we have the chance!" "Brenda is the only person I would use for buying or selling a house. She is a professional in every sense of the word. I would highly recommend her and her services to anyone who is thinking about buying or selling a home." "We got Brenda’s name from my parents. They were satisfied with Brenda’s service and strongly recommended her. She was very professional, kind, patient, and knowledgeable. She doesn’t have the car salesman feel to her service. She is very smart, knows her work, and gets the job done."